Salad Showdown: Comparing the Nutrition! Have you ever seen a “nutritionist” on the nightly news or Dr. Oz giving advice and asked yourself: Who is this person and what are their qualifications? In a world inundated with nutrition information, we must question the source of information to determine credibility. 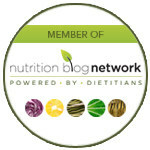 Today, let’s explore a common question: Are Dietitians and Nutritionists the same thing? Regulated by a professional governing body? Minimum 4 year Bachelor's degree in food and nutrition. Completition of minimum 1 year accredited dietetic internship in clinical or community setting. Must pass Dietetic Registration exam for licensing. Optional: Masters or PhD degrees, continuing education certificates. Complete over 1250 hours of supervised training. Hositals, Community Health Centres, Diabetes Education Centres, Family Health Teams, food service, grocery stores, Long Term Care, Private Practice etc. Use scientific research, practice-based evidence as well as government approved tools. Potential for remedial action from the College of Dietitians if making unsubstantiated claims not supported by research. Registered Dietitian services are covered by many benefit plans. Covered by OHIP through hospitals, community health centres, diabetes education programs and family health teams. Yes, professionally regulated by provincial college. Practice in accordance to set laws and standards to protect the public. Yearly quality assurance to ensure up-to-date education, ethical practice and competence. No formal nutrition training required. Title of "nutritionist", "nutrition expert" or "registered nutritionist" is not protected or regulated. Private Practice or group classes. Unable to work in hospitals because not clinically trained with disease management. Often more "alternative" treatment plans that do not have to be evidence-based. Not covered by insurance plans. Minimum high school education to apply. Canadian School of Natural Nutrition (CSNN) for 1 - 2 year program and board exam. Complete 50 hours of practicum. Private health clinics, gyms, nutritional supplement companies. Unable to work in hospitals. Study natural nutrition diploma program and follow a code of ethics. Not covered by most insurance plans. RHN is a Registered Trademark and NOT a professional designation.